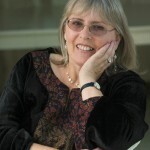 ← Judy Dyble EP out now! 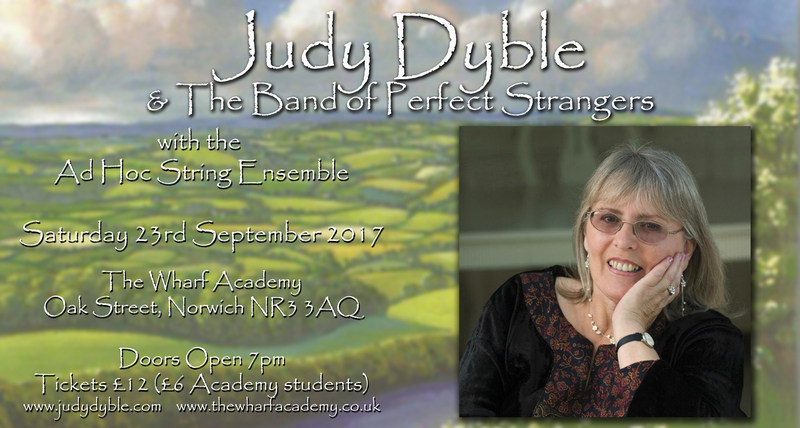 Fresh from performing at Cropredy 2017, Fairport Convention’s original lead singer, Judy Dyble returns to Norwich with a live concert at The Wharf Academy on Saturday 23rd September 2017 at 7.30pm. Having worked with pre King Crimson’s Giles, Giles and Fripp and as half of the legendary acid folk duo Trader Horne, Judy has been recording with a number of musical collaborators recently including a duet with Big Big Train’s David Longdon, Andy Lewis (Paul Weller, Spearmint, Acid Jazz Records) and Darren Hayman (Thankful Villages, Hefner) . She has released a 3CD Anthology, an autobiography “An Accidental Musician” and a limited edition EP ahead of the forthcoming album Earth Is Sleeping. Judy will be joined by her trusty Band of Perfect Strangers: Alistair Murphy (The Curator) – Piano/Guitar, Jeremy Salmon – Guitar, Mark Fletcher – Bass, Phil Toms – Keys/String Arrangements and Rich Nolan – Drums, along with violinist and looper extraordinaire Steve Bingham with Fran Broady, Brenda Stewart and Kate Clow as the Ad Hoc String Ensemble. The programme will include some vintage favourites with tracks from the albums Talking With Strangers, Flow And Change and Earth Is Sleeping. Tickets are £12 (£6 for Academy students) (plus online booking fee). Don’t miss out! This entry was posted in Arranging, Concerts and Events, News by Phil Toms. Bookmark the permalink.